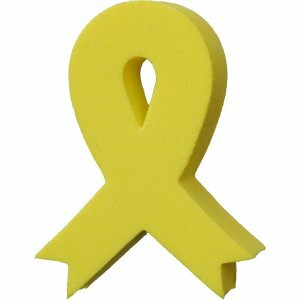 Show your support for our Troops.Our Yellow Ribbon can be pushed onto your aerial to help you find your car in the car park. Or use the free spring provided and turn it into a Wobbler for your desk/dashboard. I have put this on my car aerial and it really stands out. They are a great help in a crowded car park. Good buy.